Research shows that about one-in-five Australians are affected by at least one allergy3. There are different types of allergies and different levels of severity of allergic reactions. Anaphylaxis is a severe allergic reaction that can be life-threatening and MUST be treated as a medical emergency. The journey from diagnosis to living a normal life with a life-threatening allergy can at times prove overwhelming, although it is possible. An effective management plan is the key to living normally with severe allergies. Learning about your Anapen® adrenaline auto-injector is an important step in your management plan, as is feeling confident in your ability to self-administer adrenaline, and the ability of those around you to administer when needed. For further information talk to your healthcare professional. 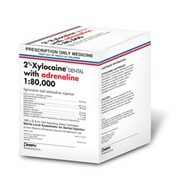 Like any other medication, adrenaline requires specific care. It is important to consider storage, transport and easy access to the adrenaline auto-injector. For further information, talk to your doctor.